With access for guests with reduced mobility, free internet and VOD, and air conditioning. 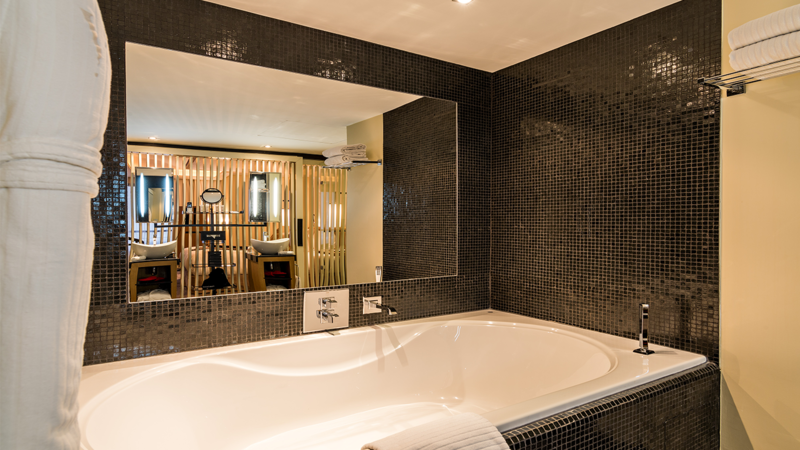 Spacious rooms and a warm and contemporary atmosphere combining style with maximum comfort. These are the most spacious. With beautiful leather trunks, comfortable armchairs, beds with huge canopies, and a high ceiling, everything has been designed to provide an original atmosphere and exceptional comfort. Just like the hotel as a whole, all of the rooms recall the atmosphere of luxury bivouacs from early 19th-century expeditions, like gentle cocoons perfect for relaxing. The rooms boast huge saddle-stitched walk-in closets which open with superb red leather handles. 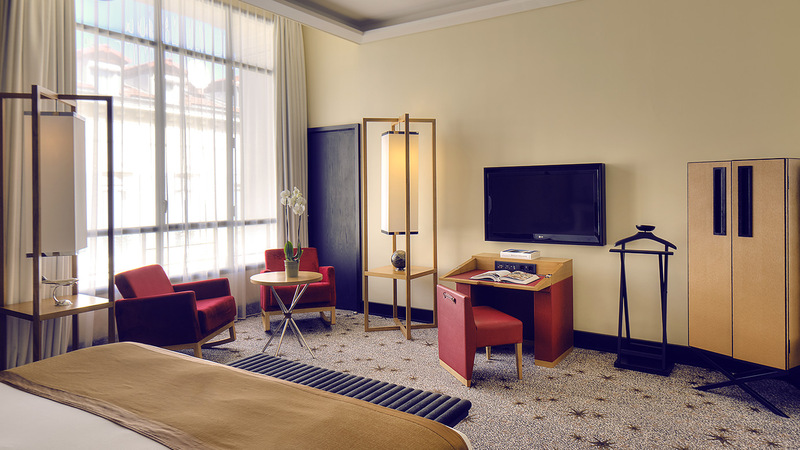 With furniture and lighting tailor-mad, high-tech amenities, free minibar, and Nespresso machine at guests' disposal. The beautiful and generous bathrooms open out onto the rooms or retain their privacy thanks to an ingenious interplay of subtle lacquered dove-coloured blinds and shutters.